I am on the board of directors for the Richmond Community ToolBank. 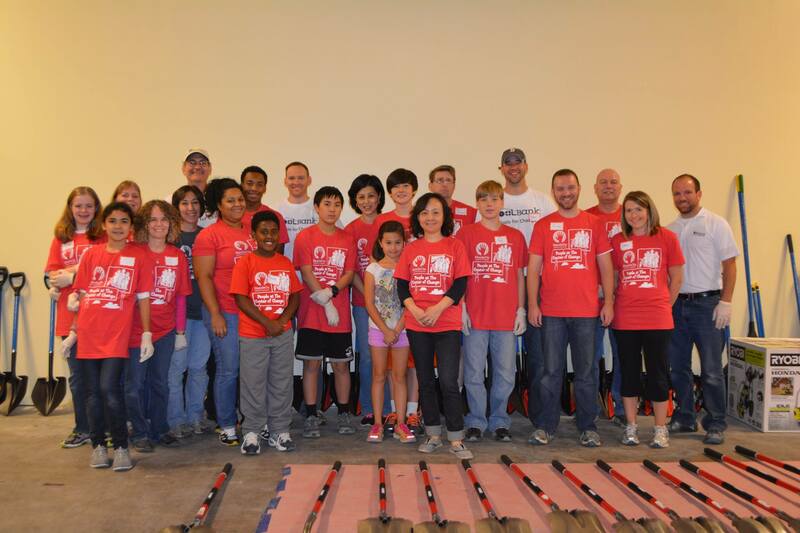 We’ve been working for nearly three years to prepare the Richmond affiliate of ToolBank USA. We at Richmond Community ToolBank are so grateful to the volunteers who helped “Turn Tools Blue,” Saturday, Oct. 18, as a part of HandsOn Greater Richmond’s annual HandsOn Day (please see more photos on our Facebook page). Volunteers assembled 40 wheelbarrows and painted hundreds of tools blue as we prepare to open to full-time tool lending, hopefully by the first of 2015. I’m so glad to be a part of ToolBank and looking forward to making a difference for the Richmond community. My son and I volunteered for a couple of hours and really enjoyed interacting with the wonderful volunteers. After the event, we joined hundreds of other volunteers who gave their time to many HandsOn Greater Richmond projects that day to celebrate at Hardywood Park Brewing Company. More smiles, stories and connecting with great people. Thank you again to everyone who has helped us get to this point, and we’d love to have anyone else interested in volunteering with us to please come out and End Tool Scarcity and supply Tools For Change!